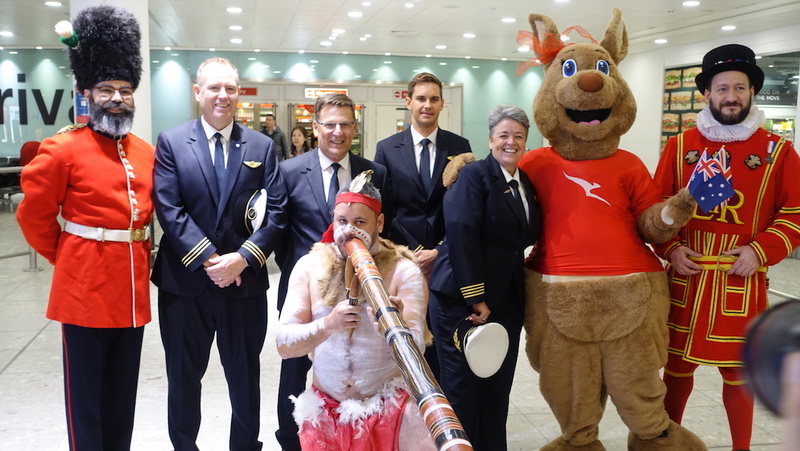 To mark the one-year anniversary of Qantas starting flights between Perth and London Heathrow on March 24 2018 – linking the continents of Australia and Europe with regularly scheduled nonstop service for the first time – this week’s Throwback Thursday feature is Gerard Frawley’s story on the historic day from the May 2018 edition of Australian Aviation. 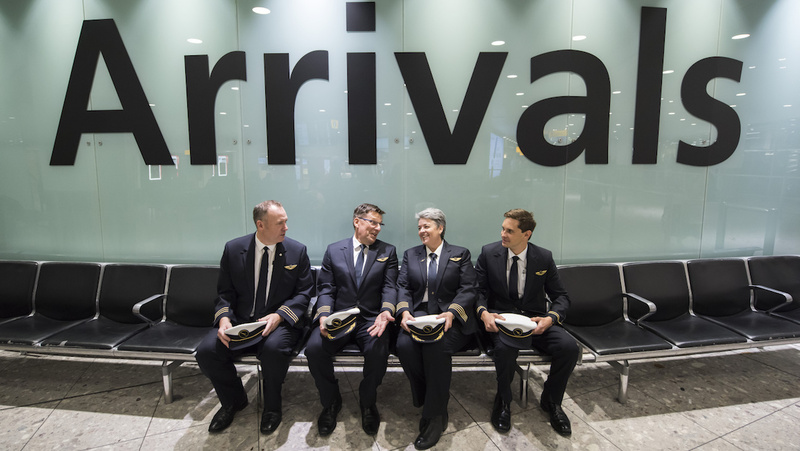 When Qantas Flight 9 touched down in London at the end of its historic nonstop flight from Perth a little after 5am local time on Sunday March 25, the remarkable had been made to seem routine. For the first time, Australia and the UK were linked by a direct nonstop air service. 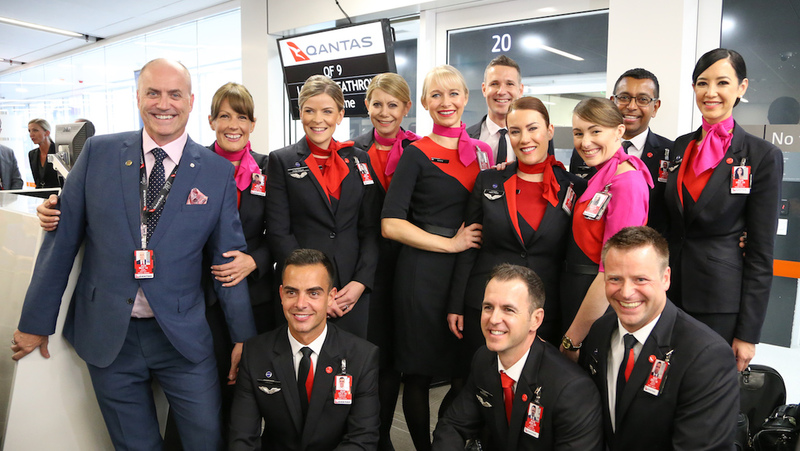 For the 229 passengers and crew on board Boeing 787-9 VH-ZND the experience was of a smooth, seamless service, but that belied the many years of planning and preparation Qantas had conducted. The first incarnation of the Kangaroo Route that linked Sydney with London was operated by a Lockheed Constellation that carried 29 passengers and involved seven stops over four days of travel. A ticket cost £525 – or about $35,000 in today’s money. Today, the Perth-London Heathrow flight is scheduled to cover the 7,829nm journey in 17 hours and 20 minutes. A return ticket is priced from as low as $1,300. “It is a historic day for Western Australia, a historic day for aviation, a historic day for Qantas,” Joyce told media inside Qantas’s new international transit lounge at Perth Airport’s Terminal 3 prior to QF9’s departure. VIDEO: A look at Qantas’s inaugural flight from Perth to London Heathrow from Ahron Young’s YouTube channel. The new nonstop link between Perth and London is now the longest regularly scheduled flight operated by the Boeing 787, and the world’s second longest airline service (behind Qatar Airways’ Auckland-Doha flights). As such it is a flight that stretches the operational capabilities of the 787 to its limits, made possible by careful configuration of the aircraft and detailed flightplanning. 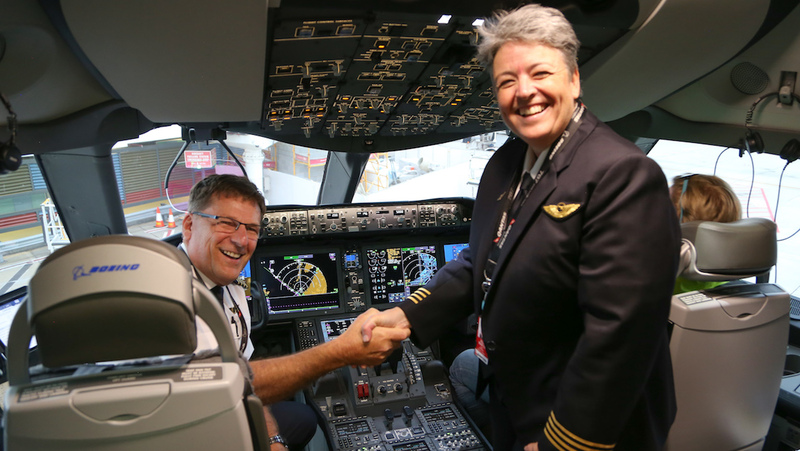 “We’ve got some very smart people in our organisation who have managed to find the sweet spot between weight, the passenger numbers, and the business class, premium economy and economy class configuration and the range with our engines,” Captain Lisa Norman, Qantas 787 project pilot and one of the four Qantas pilots operating the flight, told Australian Aviation onboard QF9. The result was one of the lowest seat counts yet specified for a Boeing 787-9, with 236 seats – in comparison, Qantas’s low-cost carrier subsidiary Jetstar operates the smaller 787-8 seating 335 passengers. That means the 787-9 can operate Perth-London with a full, or near full passenger load with full fuel tanks. “We’ve been doing flightplans [for QF9 and the return QF10] for about 18 months now,” Captain Norman said of the planning behind the new ultra long-haul mission. 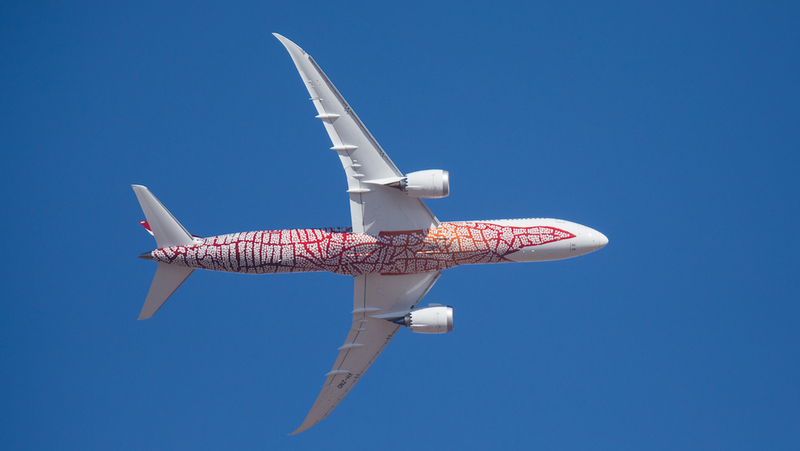 And operating the 787 on the Melbourne-Los Angeles route prior to commencing Perth-London was also “invaluable” in validating the aircraft’s performance and refining flight planning assumptions. “That enables us then to refine planning for this flight,” Captain Norman said. For the first two weeks of operations, Qantas was taking a conservative approach to the 787‑9’s payload by “blocking off” (ie not selling) up to 20 passenger seats to give the aircraft a comfortable margin to ensure it can reach London without a tech stop diversion (prevailing winds mean the London-Perth sector faces fewer operational restrictions). On an ongoing basis, and as with Qantas’s Dallas/Fort Worth-Sydney Airbus A380 flights (which can also take more than 17 hours if the headwinds are bad), Qantas will also actively manage loads to ensure the 787-9 has the payload range performance to operate the route nonstop. Other factors too have played an important role in enabling the ultra long-haul flights – Boeing has delivered more than 600 787s now and so Qantas has been able to benefit from incremental performance improvements to the aircraft and to its GE Aviation GEnx engines. Qantas has also commissioned lightweight cutlery, crockery and service carts, while flying over the Indian Ocean the aircraft can take advantage of “user preferred routes”, where the flightcrew can plan the most optimal flightpath taking into account winds without being constrained by traditional waypoints and airways. Also, over the Indian Ocean the aircraft can climb in increments of 1,000ft, rather than 2,000ft, making for a more efficient climb to altitude. Certainly the Perth-London Heathrow route represents something of a beachhead for Qantas, with the success of the flight potentially spawning new nonstop services from Perth – Qantas’s new western hub – to other points on the European continent, such as Paris. While the economics of such an ultra long-haul flight are challenging, Alan Joyce said ahead of the inaugural Perth-London flight’s departure that the response to the new route has been outstanding. 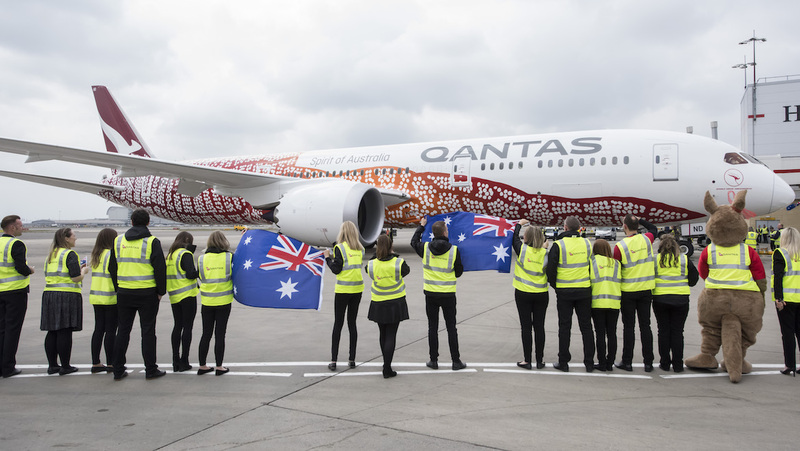 He said forward bookings showed 60 per cent of the traffic on the flight was origin and destination traffic between London to Perth, with 40 per cent connecting onwards in Perth to the rest of the Qantas network. “That’s important for the economics [of the route],” Joyce said. Some 30 per cent of seats on the 787-9 are in business or premium economy, the highest percentage of any of aircraft type in the Qantas fleet, with 42 seats in business class in a 1-2-1 configuration offering direct aisle access for every passenger, 28 in premium economy laid out 2-3-2 across and 166 in economy in a 3-3-3 layout with 32in seat pitch. Such a configuration reflects both the business-heavy nature of the routes the airline will operate the aircraft on, but it is also optimised to provide the payload range performance necessary for ultra long-haul routes like Perth-London. And it would appear that premium mix is matching the demand for seats at the pointy end. “It has more business class and premium economy seats than we’ve ever put on an aircraft and we are filling them,” Joyce said. “The forward bookings in those are over 90 per cent and are very strong, so the economics of this route is looking very strong from day one. Also strengthening Qantas’s economics on the Kangaroo route is that the QF9/QF10 rotation begins and terminates in Melbourne (for all the hype over the nonstop Perth-London leg), and it has replaced the previous QF9/10 flights between Melbourne and London via Dubai which were operated by Airbus A380s. Qantas’s A380s seat 484 passengers, compared to just 236 passengers in the 787-9, so some 248 seats per flight have been removed from the market each day. Further, on the same weekend Melbourne-Perth-London flights launched, Qantas switched its hub for its QF1/QF2 Sydney-London flights from Dubai to Singapore, and placed the A380 on the Melbourne-Singapore route, with those flights timed to connect with QF1 and QF2 in Singapore. That shift gives Qantas’s Melbourne passengers two options for travelling to London, means the airline can continue to offer a first class product on the route, plus helps the economics of the Singapore-London legs of QF1/2 as well. Switching hubs and introducing the 787-9 onto the Australia-London route is the culmination of Qantas’s most complex aircraft entry into service program since the Airbus A380 joined the fleet in 2008, Phil Capps, head of customer product and service development, told Australian Aviation ahead of the inaugural QF9 departure from Perth. “This has been the biggest change for us since the introduction of the Airbus A380 in the 2000s. Because it is about introducing and designing an entire [new] aircraft but also all the other parts that that aircraft interacts with. It’s been a huge experience, we’ve had accelerated timeframes to deliver this,” he said. 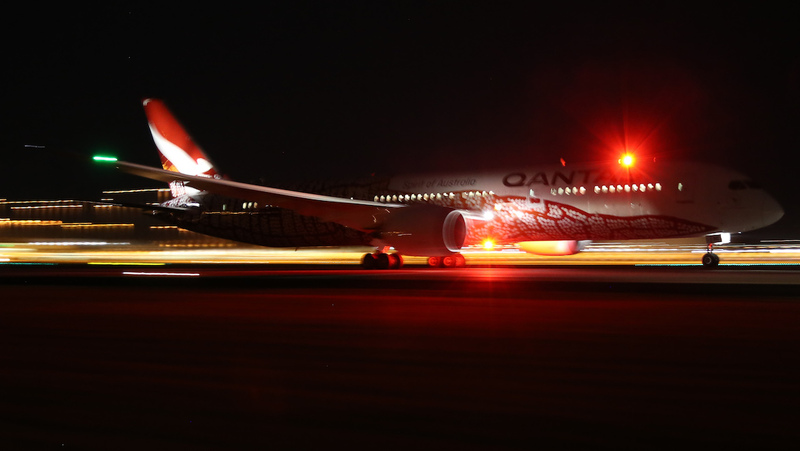 The 787-9, Capps said, was delivering a new benchmark for customer satisfaction. “We’re extremely happy with the way customers are responding to the aircraft,” Capps said. “Particular elements from the cabin environment, the seating and the comfort [levels] but also the inflight entertainment are resonating very strongly with customers. That bodes well for the forthcoming cabin upgrade of the airline’s A380s, Capps said. A file image of a Qantas Boeing 787-9. 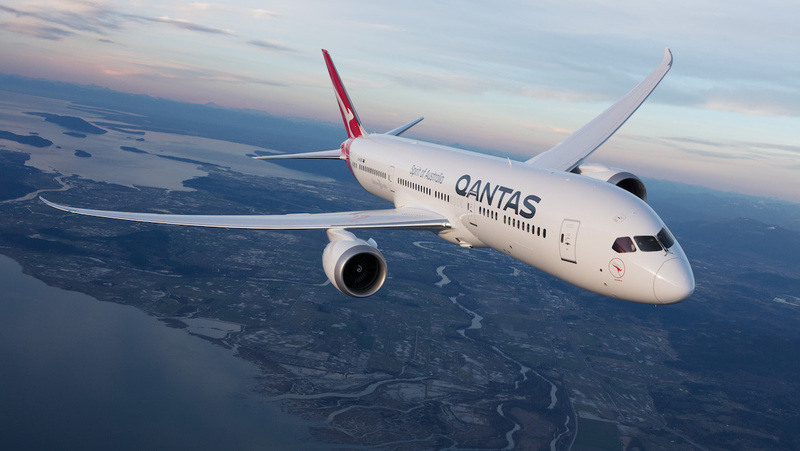 Early experience with the 787 has also validated Qantas’s approach of collaborating with industry partners in designing and delivering its 787 passenger experience. “I think what works for us is the collaboration of the best minds in the business. We like to use our own experience but then work with Neil Perry who knows food, beverage and service like no other, like Sofitel, who also knows service like no other, and with the [University of Sydney] Charles Perkins centre,” he said. Qantas engaged experts from the University of Sydney’s Charles Perkins Centre, industrial designer David Caon and its own consulting chef Neil Perry to introduce a number of cabin and lounge features designed to help cope with the effects of jetlag. “Our job then is to continue to pull all those threads together and weave them into an experience,” Capps said. Part of that experience is the new Qantas transit lounge at Perth Airport. Capps said Qantas’s experience in operating from Terminal 3 – it moved its Jetstar and QantasLink services there when Virgin Australia vacated the space to relocate to its new terminal across the airfield adjacent to the international terminal in November 2015 – meant it had a good understanding of the spaces that were available in the terminal to build a new lounge in. 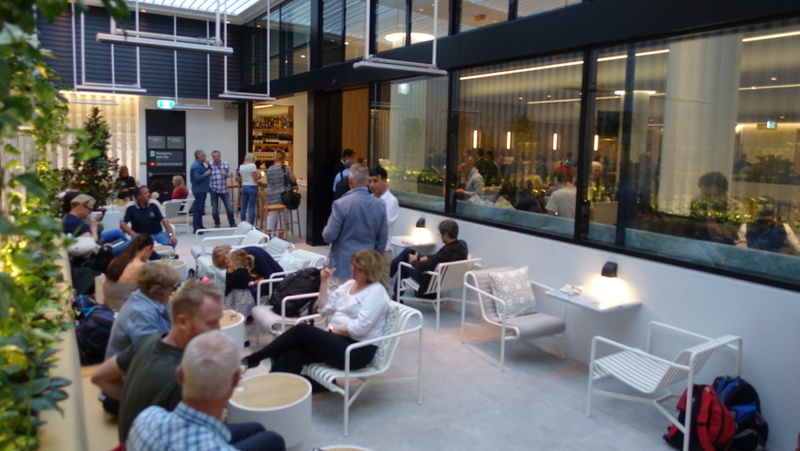 “With that in mind when we started working with the airport we understood that there was the potential for an unused space at this level that was adjacent to what could be an outdoor area. So as soon as we identified that we really worked very hard to lock it in. 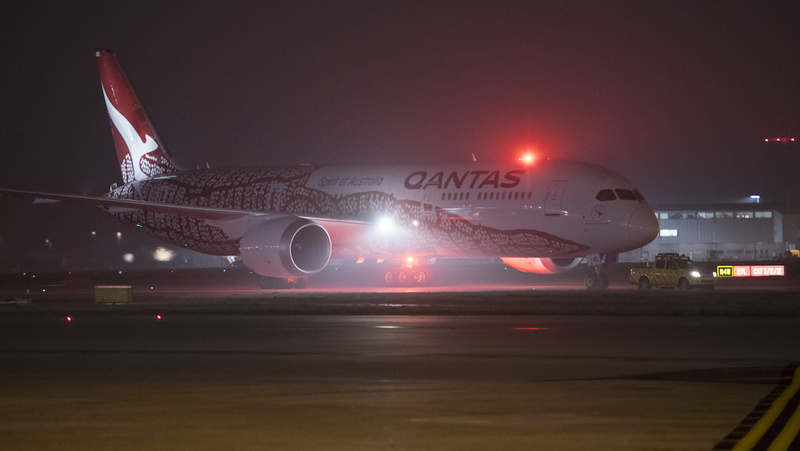 With the Perth-London QF9/10 flights settling into regular operations, focus for Qantas now turns to Project Sunrise, its ambitious plan to introduce what Alan Joyce describes as a “super long-haul” aircraft into service from 2022 capable of flying nonstop from the east coast of Australia to London and New York. The challenging nature of such super long-haul flights would limit the aircraft’s ability to carry freight, but that could provide an opportunity for new thinking in passenger amenity. Among the ideas being considered for the new aircraft type, either the Boeing 777X or Airbus A350, include exercise areas and sleeping berths, Joyce told an Aviation Club of the UK lunch in London on March 27. Joyce said Qantas is continuing to work with both Airbus and Boeing on defining aircraft payload range performance. “It is also about getting an aircraft that not only can do Sydney to London, but at the same time the same aircraft is capable of being redirected to Sydney to Hong Kong or Sydney-Singapore. That suggests Qantas is looking to acquire an aircraft under Project Sunrise that requires as little customisation and development as possible. The inaugural QF9 nonstop flight Joyce had flown from Perth to London had a flight time of a little over 17 hours. The challenge for the much longer New York and London nonstop flights, Joyce said, was “to do it with a full passenger load, a full freight load and their bags”. For a first-person perspective on what it was like on board the inaugural flight, read Jordan Chong’s experience in seat 41C, “Nine wide: Life at the back of the bus on QF9”, here. This story first appeared in the May 2018 edition of Australian Aviation. To read more stories like this, become a member here. Qantas links Australia and UK, not Europe!